UBC iSchool has launched an online booking system for students, faculty, staff and adjuncts to book rooms and equipment at the school. Using your CWL, you can view whether items are available, and make bookings online. The booking requests will then approved by the iSchool information assistant. 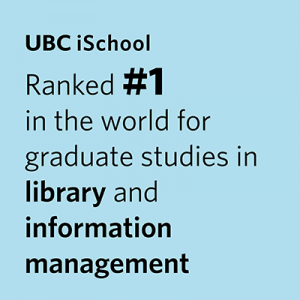 To access the booking system, visit https://ischoolbookings.arts.ubc.ca and login with your CWL and password. For instructions on how to use the system or for troubleshooting, please visit the Resources site.